Today we will talk about a little skincare. 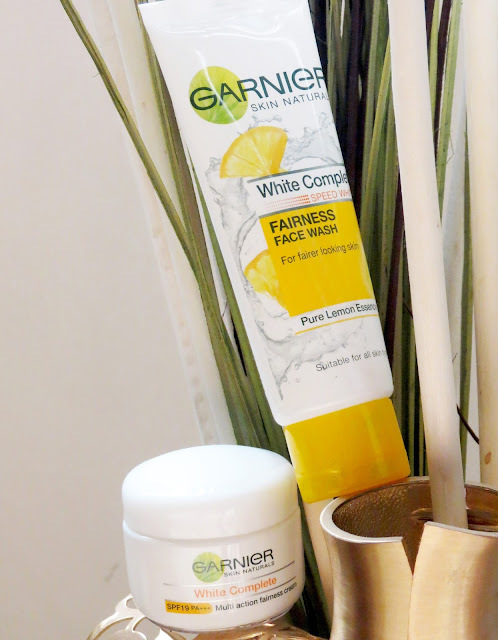 If you follow me on my social media handles like Instagram, Facebook, Twitter you may have seen a post where I mentioned that I was sent two products by Garnier to review for a week. 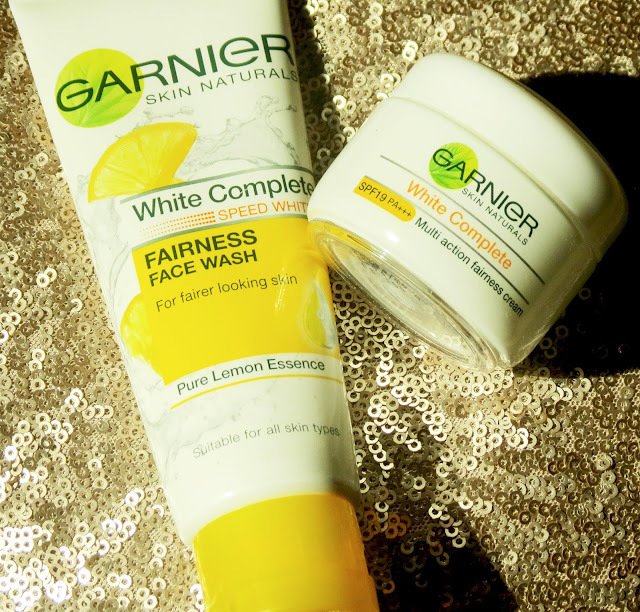 The products are a Garnier White Complete Fairness Face wash and a Fainess Cream from the same Range. I am very comfortable in my own skin and my own body, not that I am perfect, however I love to believe that there is always room for a little more care and experiment. Hence I took up this opportunity to review these products. 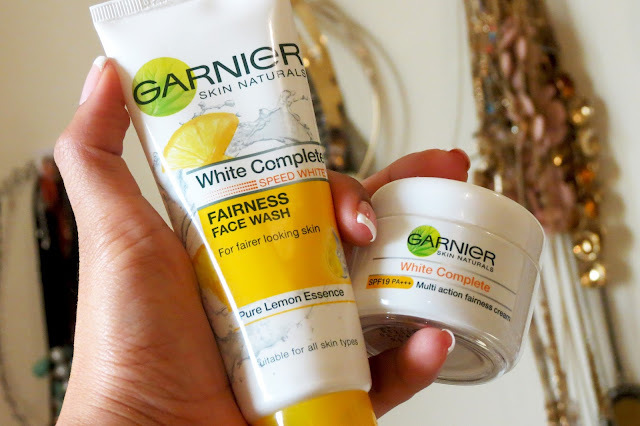 First let us talk about the Complete White Fairness Face Wash. It is mentioned that this product is suitable for all skin types. I, having a combination skin type, surely believe that this product suits my skin type very well. 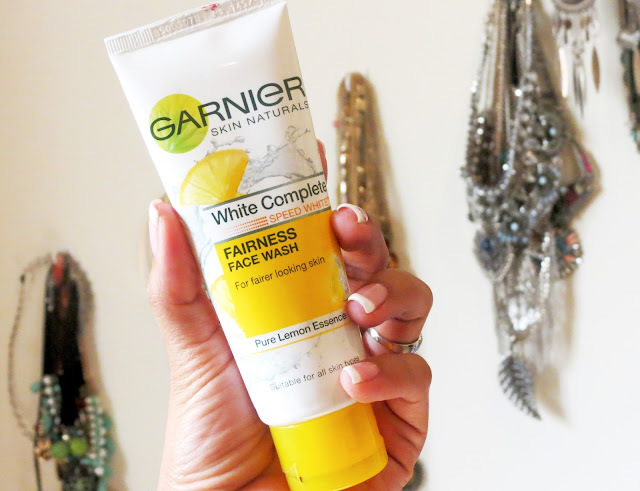 Now having to travel so often for work and always having make-up on, I tend to have some lazy days where I don't feel like going for a deep cleansing routine for my face, I opt to wash my make-up off directly with a face wash. To my surprise this product works wonders in cleaning off every bit of make-up except for a little kajal on my waterlines, which I can always clean later. For the first few days I did not see much effect on my skin regarding the fairness part. Hence I thought of using it for almost 15 days for maximum results. By the end of 15 days I could definitely see my skin a hair lighter. 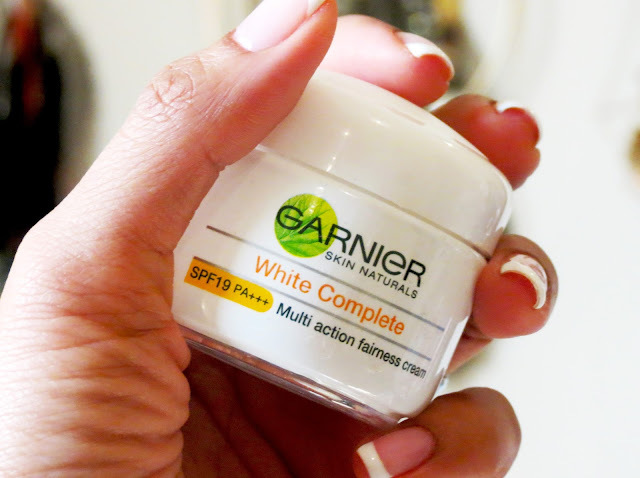 Now let us talk about the White Complete multi actions Fairness Cream with SPF 19. I started using this cream from the second week on-wards that I have started using the face-wash. The reason behind it was that, I wanted to check if the face-wash works on its own or the combination of both makes a difference. Hence as I mentioned earlier I could clearly see a change in my skin only by the end of 15 days of usage. One more added feature to this cream is that it has a SPF 19 which is great for my work wear for that extra protection from sun. Again from this cream as well I found a lazy day hack. On days when I just need to go to the supermarket or for running errands, and I don't feel like wearing a foundation or a BB cream, this works great as a base because of the SPF content. Then I just wear some compact on top of it, put some kajal and a gloss and am all set to go. What I loved about this range is it did really helped my skin breakout marks to lighten to a great extent. And that is what have impressed me the most.Overall from my experience I would love to say this range is worth a try. Depending on different skin types and age, I am sure the results may vary. So Girls if you want to give it a try do click on this link http://7daygarnierchallenge.com/ and fill up a form. Garnier will send you free samples of a product and you can also voice your honest opinions. And yes the best opinion can win goodies from them. Until next time......keep it stylish....keep it functional..